The ancient city of Jericho has long been associated with conquest. In the Old Testament, Joshua led the Israelite army into the city, where they slaughtered all the men, women, children and animals (Joshua 2–6). 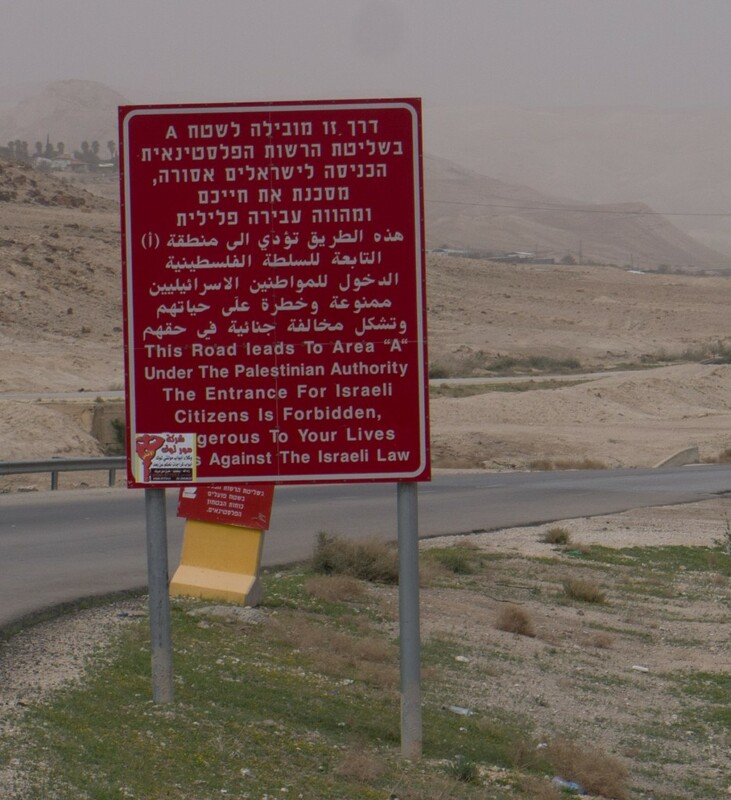 On a recent visit to Jericho, I noted the big red warning sign posted by the Israeli military, prohibiting all Israeli citizens from entering the now Palestinian city due to ongoing conflicts arising largely from aggressive Joshua-inspired Jewish settlements in the West Bank. In Luke 18:35ff, Jesus enters Jericho. Greek-speaking readers of Scripture were certainly aware that Joshua’s name in the Greek Old Testament (Septuagint), ∆Ihsouvß is spelled exactly the same as Jesus. So how does Jesus, Son of God’s entry into Jericho differ from that of Jesus/Joshua son of Nun’s? As Jesus approaches Jericho “a certain blind man was sitting by the road, begging.” When he hears from the crowd that Jesus of Nazareth is passing by he cries out: “Jesus, son of David, have mercy on me.” The blind man “sees” Jesus as David’s son, meaning the Messiah, and then calls him Lord, using the Greek equivalent of the divine name. Jesus heals the blind man, who then follows him into Jericho glorifying God. In two jail Bible studies this past Sunday I invite inmates to take note of the next character on the scene, Zaccheus, and to summarize what we know about him. He is a chief tax collector who is rich and too short to see Jesus over the crowd (19:2). I briefly describe a chief tax collector as a despised collaborator with oppressors, and invite comparisons. In the jail the men come up with undercover cops, drug cartel chiefs, Immigration and Customs Enforcement agents (ICE), and debt collectors. We talk through Zaccheus’ reaction to Jesus’ entry. The men point out his curiosity and possible desperation since he runs ahead and positions himself so deliberately in a tree to check Jesus out. “Some of you may be coming to the Bible study to check out Jesus from a distance,” I suggest, looking around the circle of men. Let’s see what happens in the next verse. The men are surprised by Jesus’ total awareness of Zaccheus’ interest. I drop the idea that Jesus may be a kind of bounty hunter, deliberately looking for people who have active warrants from heaven because of their known interest or readiness. The inmates comment on how Jesus knew Zaccheus’ name, told him to hurry and come down, and how he invites himself to stay at his house. Jesus “looks up” to Zaccheus in this encounter– which for a person “short of stature”who is also despised would have deeply affected him The men are moved that Jesus doesn’t judge him, and outdoes Zaccheus in eagerness to know him. Jesus doesn’t waste any time either, but sets the hook quickly into this wily fish lest he get away. Jesus models his own instructions to the 72 missionaries he sends out praying, looking for the person of peace who they are to stay with as guests (Luke 10:7). The scandal of Jesus’ inclusion of Zaccheus is stated clearly about those who saw it: “they all began to grumble, saying, “He has gone to be the guest of a man who is a sinner” (Luke 19:7). Jesus here reveals a radical perspective of conquest as salvation that illuminates the earlier Joshua story, offering a critical key for appropriating it now. Jesus comes to Jericho on a campaign to save: “For the Son of Man has come to seek and to save that which was lost” (19:10) and begins with the most wayward of its Jewish residents. Readers should also note that right before this story Jesus states that he’s heading to Jerusalem to be mocked, mistreated, tortured, killed… and resurrected (Luke 19:31-33)- reminding us that his own death on the cross was his way of achieving victory as Messiah. Luke’s choice of words brilliantly connects Jesus to the spies sent by Joshua to view the land rather then to Joshua’s actions of destroying the city. Jesus, like the spies has his eyes open to seek. But with a clear agenda to save. He enters and stays with Zaccheus—the then equivalent of Rahab the prostitute—a direct ancestor of king David and Jesus (Matt 1:5). Zaccheus’ timely receiving of Jesus matches Rahab’s receiving of the spies (James 2:25), leading to their consequent salvation. I end the jail Bible study by returning to Jesus’ urgency in connecting with Zaccheus and today’s equivalents- we ourselves. “From this text it looks to me like Jesus is looking to connect with people who are drawn to him. If you are experiencing a desire to receive this Jesus who is seeking after you, maybe it’s time to seize the moment and hurry to welcome him” I suggest. Connections happened for many on Sunday and the Kingdom of God advanced. 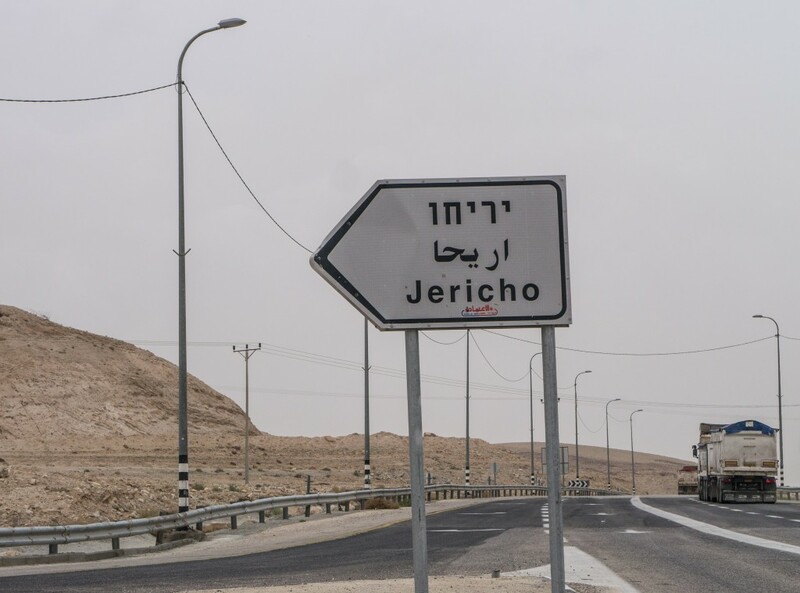 Gracie and I had a nice visit to Jericho, and I find myself praying that Israelis would recognize and follow Jesus as their Messiah and Lord like the blind man and receive him into their lives like Zaccheus. May you too have eyes to see and welcome Jesus. May God empower you to connect with and recruit today’s Rahabs and Zaccheuses into Jesus’ company. May you move towards Jerusalem this Palm Sunday with renewed awareness of what it looks like to follow Jesus, with his priority to seek and to save those who are lost.